To return to the original page please use the BACK button on your browser. In 1934 it was decided to introduce special instructions for the handling of mail containing New Year's greetings. 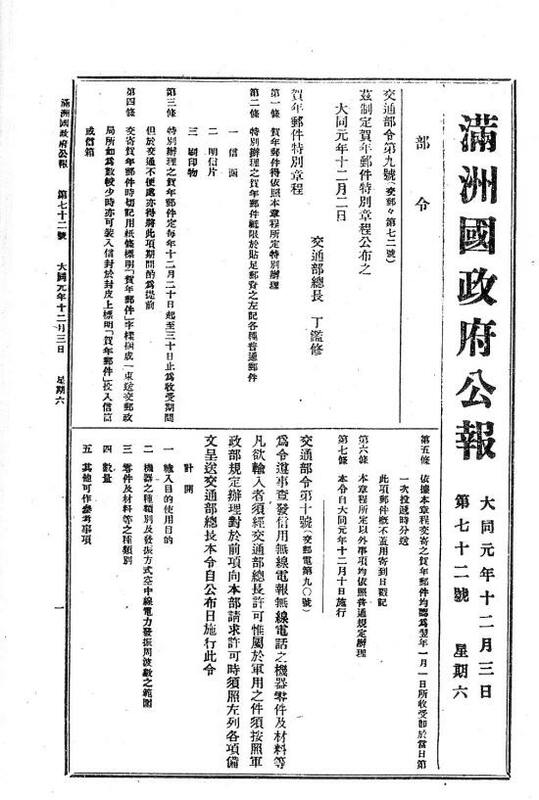 These instructions were contained in the Manchukuo Government Gazette No.72, shown below. 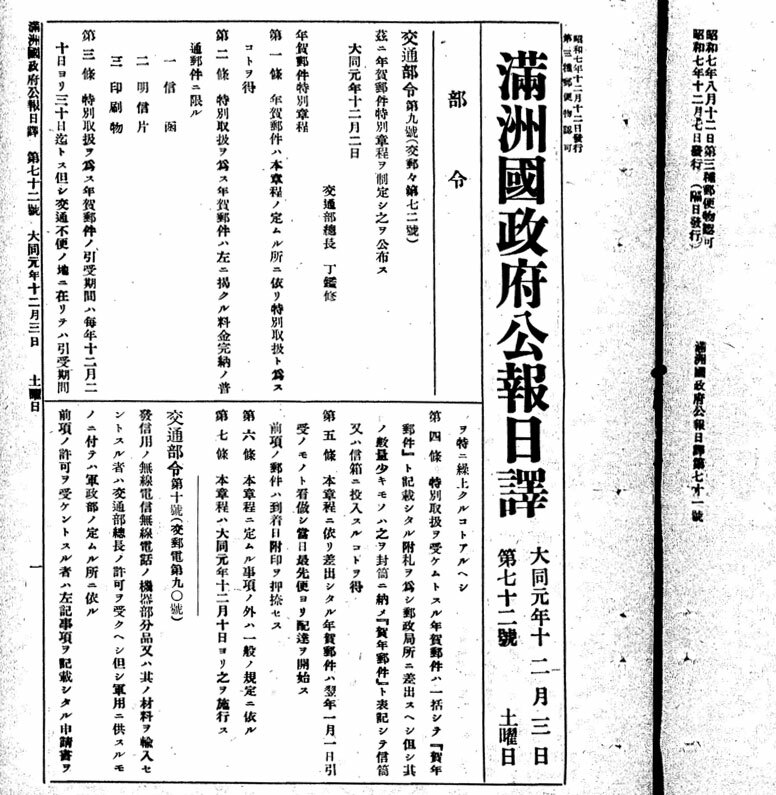 Article 1 Special handling of New Year’s postal articles is set forth in this regulation. Article 2 Special handling of New Year’s postal articles is limited to the paid items of regular mail listed below. Article 3 Each year the receiving period for special handling of New Year’s postal articles is from December 20 to 30. However, in areas where communication is inconvenient the receiving period will be moved up. 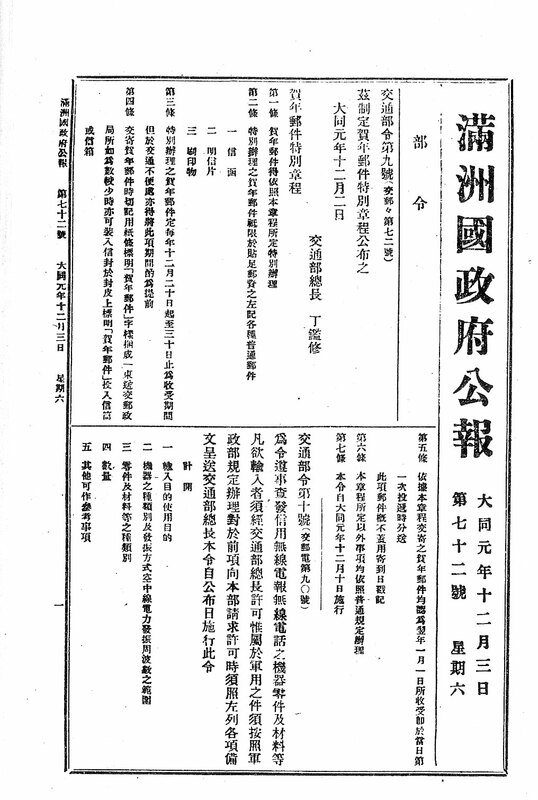 Article 4 The New Year’s postal articles received together for special handling [ 賀年郵件 c: hènián yóujiàn ] must be stated when submitted to the post office however, for small amounts, you must insert in an envelope and state on the outside [ 賀年郵件 hènián yóujiàn ] and place in square or round mail box . 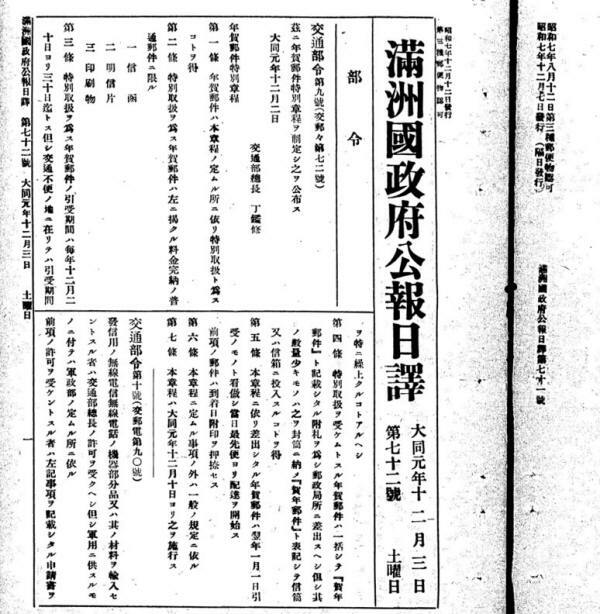 The scan of the Gazette has been supplied by Mr Hiromasa Iitsuka with translation by Mr Richard Arent.